Commercial facilities generally refer to hotels, hospitals, resorts, commercial office buildings, shopping malls and refrigerated warehouses. Ø The solution is like a container, easy installation and operation. If only commercial heat and cold needs are considered, the use of GHP will bring better economy. 1) Total efficiency achieved above 80-90%, generating efficiency achieved 40%, the heat produced could used on heat supply of buildings, heating drink water and living hot water etc. 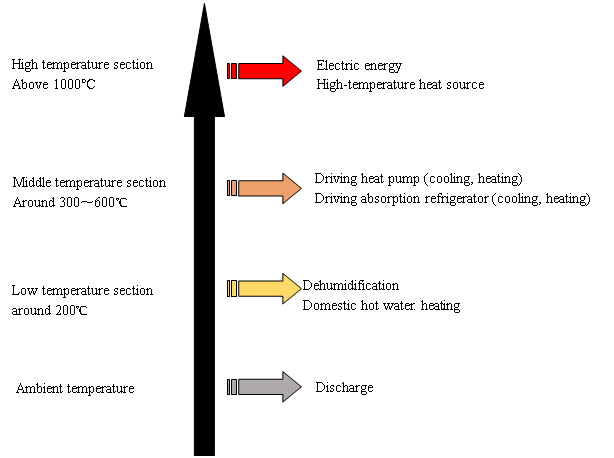 2) The cascade utilization of distributed energy: the different utilization of all kinds of heat like high temperature, middle temperature, low temperature etc., to ensure the high efficiency. The high temperature is converted into electrical energy, medium temperature for refrigeration and heating steam, low temperature by using for heating water and dehumidification. 3) High economic efficiency: produced the same value of heat, the cost of gas is lower 30-50% than petrol and diesel; the cost of electricity is lower 40% more than electricity of power grid. 4) The CHP unit: in addition to providing electric energy, combined with other heat resources and refrigerator equipment to achieve the supply of cold, heat and electricity, which meet the needs of heating living water, steam and refrigeration. 6) Environmental impact is low: Smart Action cogeneration unit emissions of sulfur dioxide and solid waste are almost zero, carbon dioxide is reduced by more than 60%, nitrogen oxides are reduced by 80%, and the area and water consumption are reduced by more than 60%. Low noise can also be achieved through combined noise reduction measures. 3) The average efficiency is up to 1.8Heating capacity is less affected by ambient temperature. It can run normally at -20℃, without defrosting and rapid heating up. 4) high temperature regulating speed, high efficient frequency conversion air conditioning which can adjust alone, energy saving. It does not need special machine room and no manual duty. Taking hotels as an example, it needs 365 days and 24 hours of thermal and electric energy supply. Part of the time also needs cold energy supply, providing CHP+GHP solutions, which can ensure the comprehensive demand of the hotel's cooling ，heating and electricity power. CHP provides electrical and thermal energy for the hotel, and GHP provides heat and cold energy for the hotel. 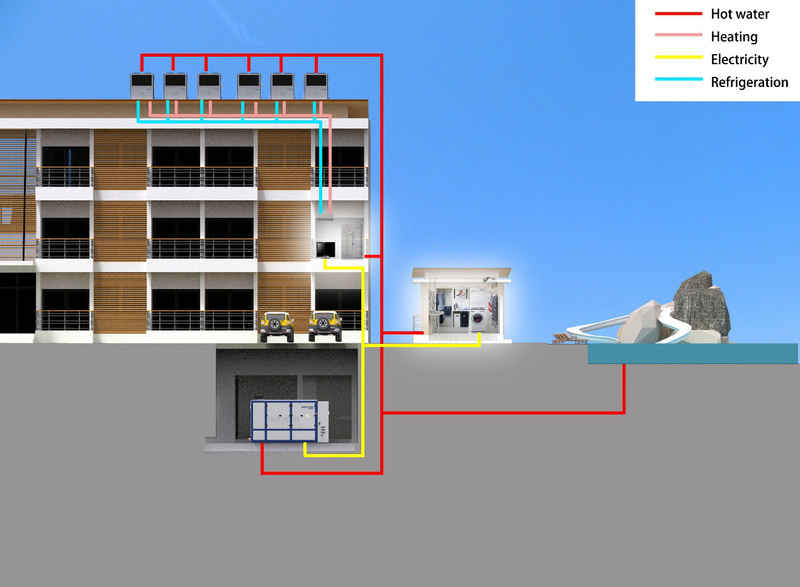 CHP will adjust the output of power automatically according to the needs of electricity of hotel, meanwhile the heating output also changed, so the center control system will adjust the heating output of GHP to meet the heating needs of hotel. When the hotel needs the heat and cold energy at the same time, the center control system will automatically adjust the running status of GHP multiply unit, some of them supply heat, some of them supply cold for the hotel, which meet the needs of different period of hotel.